One of the simplest football games in this website. 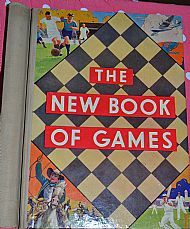 It gets a place here because I like 'The New Book of Games'. 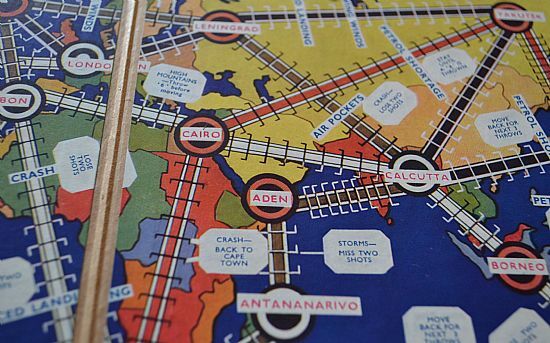 This is the only page in the entire site to feature a non-football game, Air Race, just because I love the design of the game page! 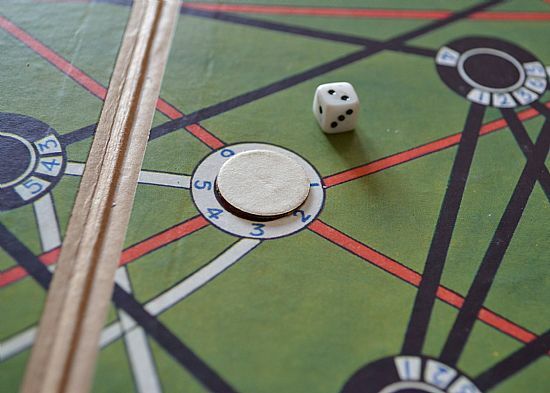 Very simple game laid out on a double page spread in the New Book of Games by Associated Newspapers. So easy...just roll the dice and follow the line of the number you threw! A nice touch is that all the pieces and dice and held in the circular spine of the book. The only non football item in the whole site. 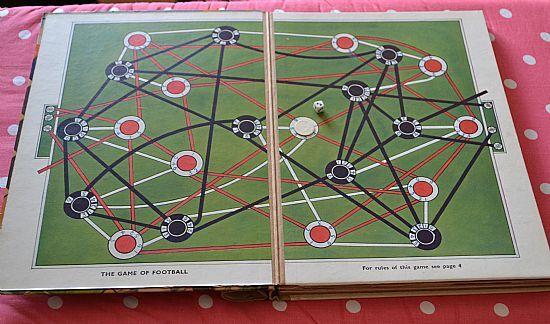 I just love this game design, layout and copy!